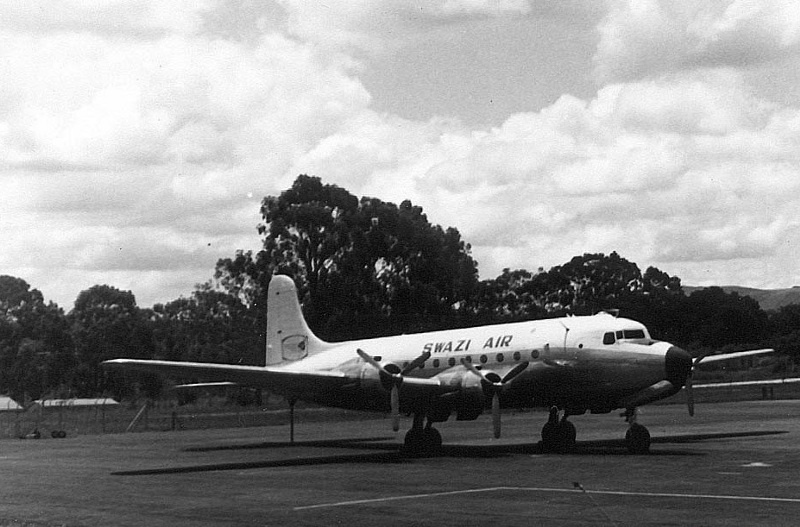 Oct 1970 VQ-ZJN Swazi Air Leased from Protea Airways. 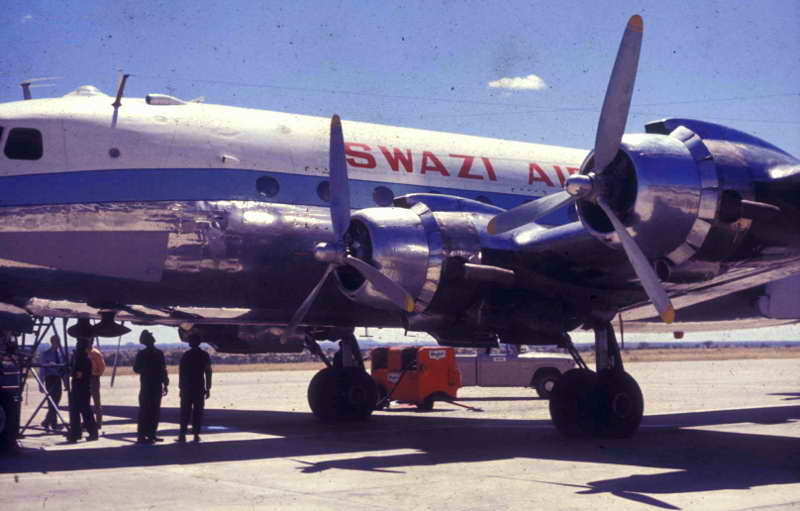 Swazi Air was previously a subsidiary of National Airways Corporation. Protea bought the latter's airline operations in 1970 and transferred 10325 to the Swazi register. It was used to inaugurate week-end "Champagne flights" from Johannesburg to Manzini, leaving on Friday afternoons and returning early on Monday mornings. These flights were aimed at the week-end tourist trade to Swaziland, but as it had been stripped of all insulation and high density canvas seats had been installed for transporting migrant workers during its days with Wenela, the aircraft was not popular. During weekdays it was based at Rand Airport and used for charters. Apparently Protea Airways found the Swazi registration convenient for operating to destinations where South African registered aircraft were unwelcome at that time. 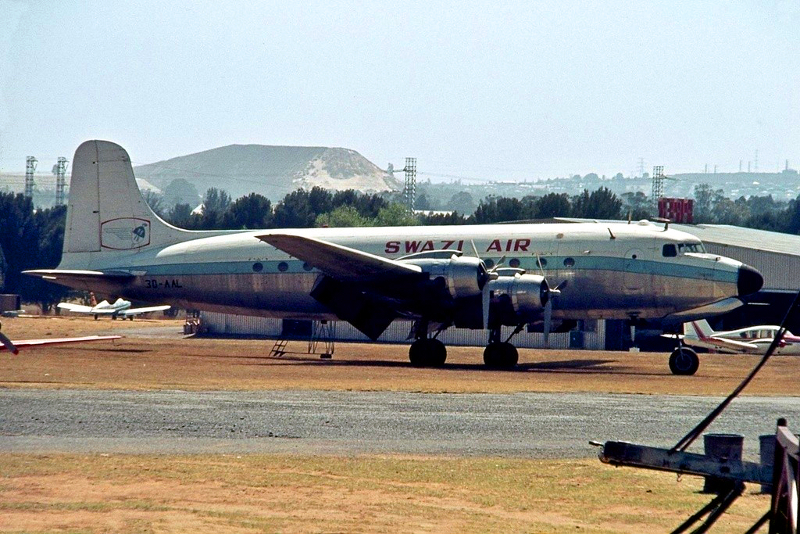 Nov 1973 3D-AAL Protea Airways Returned from lease to Swazi Air. Withdrawn from use at Rand Airport and used for spares. 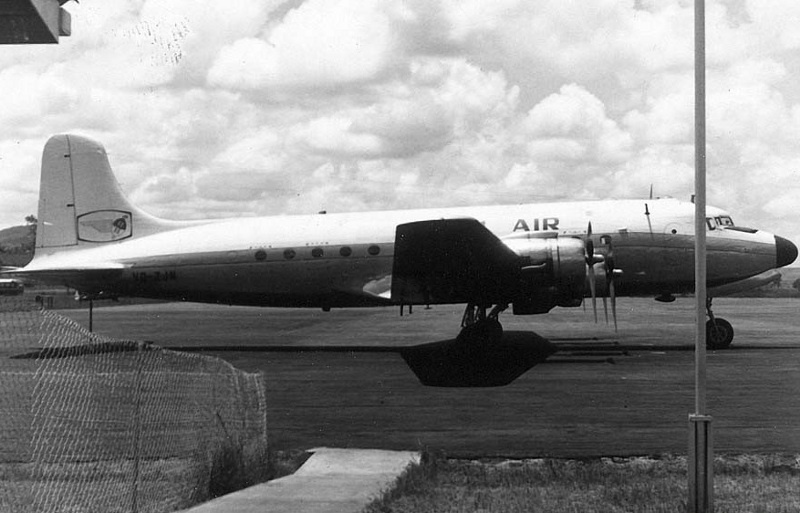 Protea Airways had an old 54-seat Douglas DC-4 four engine aircraft registered as Swazi Air 3D-AAL standing unused opposite the bottom hanger at Rand Airport. It lay unused because there were very few requirements for a large aircraft except on the South African domestic routes. But SAA had a total monopoly and refused to allow any competition. One day Rennies Travel approached me for two large groups to be carried to-from the Seychelles to connect with a cruise ship. Seychelles anti-apartheid policy did not allow SAA so I managed to get permission. 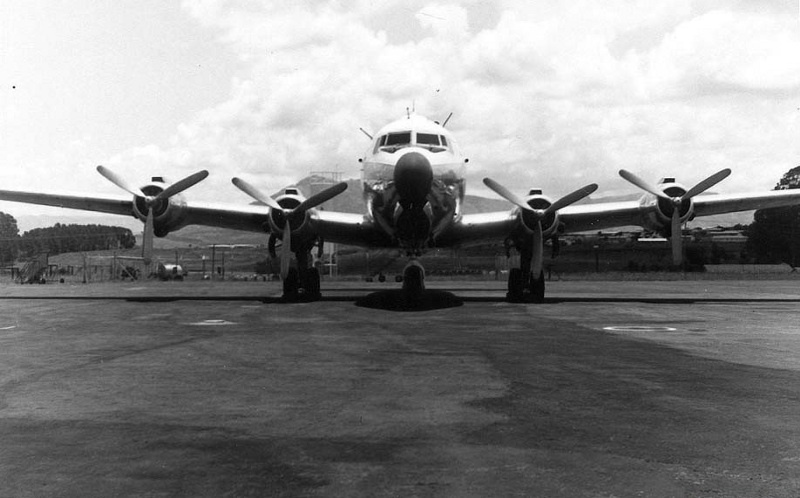 Our engineers spent days getting the DC-4 ready for the flight and ferrying it over to Jan Smuts. With Captain ‘Lew’ Lewis at the helm, the DC-4 departed Jan Smuts Airport, Johannesburg late evening on 24 December and landed in Majunga, western Madagascar early the following morning to refuel. It then took off for Mahé, Seychelles. 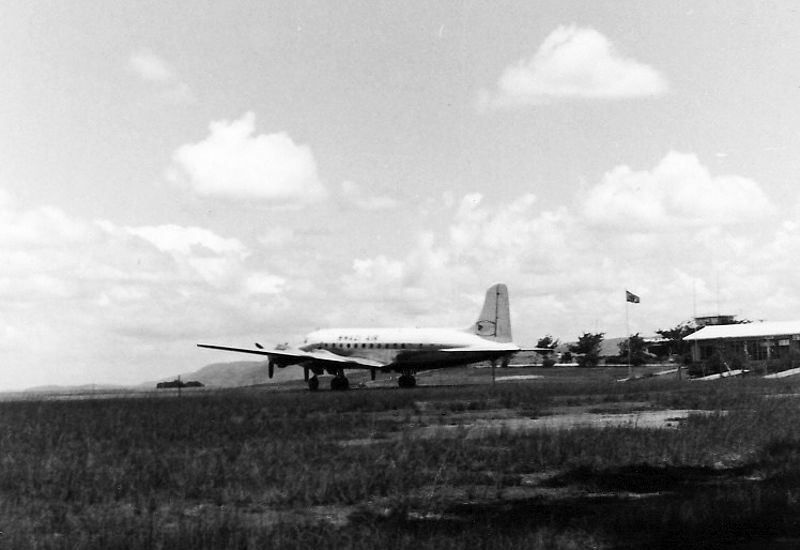 But as the DC-4 was abeam Diego Suarez, the northernmost point of Madagascar, the nearside port engine had a runaway propeller. This immediately woke the dozing engineer Fricky Fourie who managed to feather the prop and stop it from spinning off and slicing through the cockpit. Captain Lewis turned the aircraft around and flew back to Majunga on three engines. 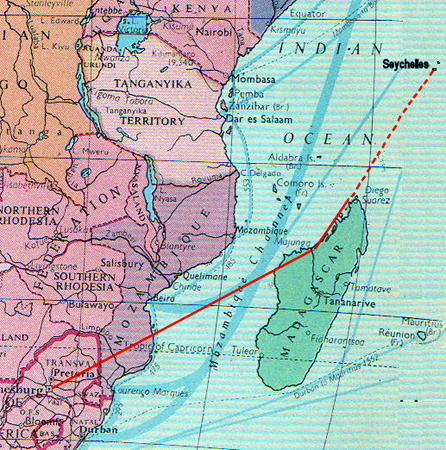 For some reason Captain Lewis was unable to contact Johannesburg, so he decided to hire a Boeing 737 from Air Madagascar to collect the passengers and fly them to the Seychelles. The other group would have to find their own way back. He then flew back empty to Johannesburg on the three good engines. I was at Jan Smuts Airport with stairs and ground staff to welcome the passengers when the DC-4 landed exactly as scheduled on the evening of 26th December. As I climbed up the stairs, the aircraft door opened but only the two airhostesses appeared. I was astonished to find only the crew were aboard. 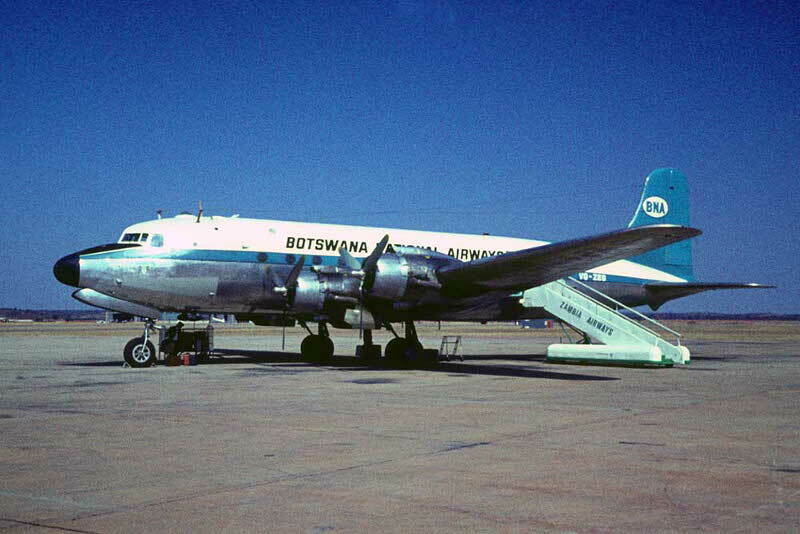 As a result, Protea paid Air Madagascar more for the hire of the Boeing 737 than what Rennies had paid for the DC-4. We were also sued for the airfares of the returning group. After that, I re-wrote Protea’s charter contract using an old NAC contract as a guide, incorporating ‘force majeure’ that protected the company from such incidents.